The Bryan Watson was designed by 9x World Professional Latin American Champion Bryan Watson. 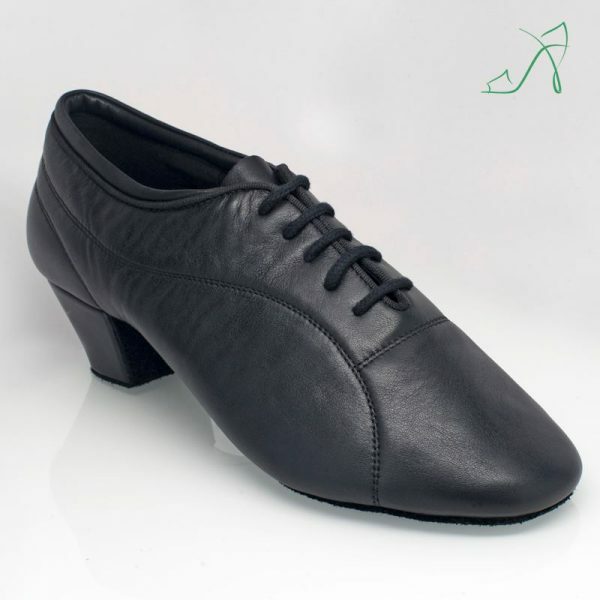 It has a split sole for extreme flexibility and is made from a smooth leather that is very soft and durable. The sports grade heel has a soft foam collar for extra comfort. Although it is very lightweight, it has a biomechanical latex arch support and antibacterial lining. Available in American sizes 5.5 to 12.5 Medium Width only in Black Calf Leather with a 1.5″ Bryan Watson signature heel.